Learn more about how conversational recruiting can help you hire faster, be more efficient, and transform your candidate experience. Conversational recruiting is an approach to recruiting that involves engaging with talent in an on-demand, conversational manner, on messaging apps they use every day. Unlike traditional recruiting practices, which involve posting jobs and waiting for applications to trickle in, conversational recruiting leverages your existing talent pools (ATS, CRM, employee base), as well as new sources of talent (capturing passive candidates on your career site, social media, at events, etc. ), to surface qualified and interested talent for recruiters. Conversational recruiting gets recruiters out of email and onto real-time messaging apps (like SMS, Facebook, WeChat, Slack, etc. ), boosting open rates and response times from candidates. It means leveraging intelligent bots to drive engagement and serve up qualified talent at the right time, to help offload administrative tasks and scale a high touch experience for candidates. This way your talent never waits for a follow up and can connect when it’s convenient for them, using the messaging apps they already use every day. Conversations are happening across messaging platforms, so conversational recruiting is bigger than any one platform. It’s all about starting a dialogue wherever talent is found, whenever it’s convenient for them to connect. For conversational recruiters, this means no more hiding behind job applications, waiting for people to come to you. It’s about getting out there, ready to engage in a conversation with the right talent for your organization, wherever that may be. After talking to hundreds of recruiters, what we’ve heard loud and clear (and maybe you’ve experienced this as well) is that recruiters want more time engaging with promising talent. There’s a reason why only 2% of applicants are qualified for a job--people are wising up to the fact that applications are a total waste of time. And there’s a reason why the very best recruiters on LinkedIn are only seeing 15% response rates--InMails are no longer an effective way of engaging with the best talent. Candidates are ready to start a conversation with you. We’re here to help. 1. Increase open rates by 4x. Our world is more connected than ever, with the proliferation of texting, social media, and chat platforms. 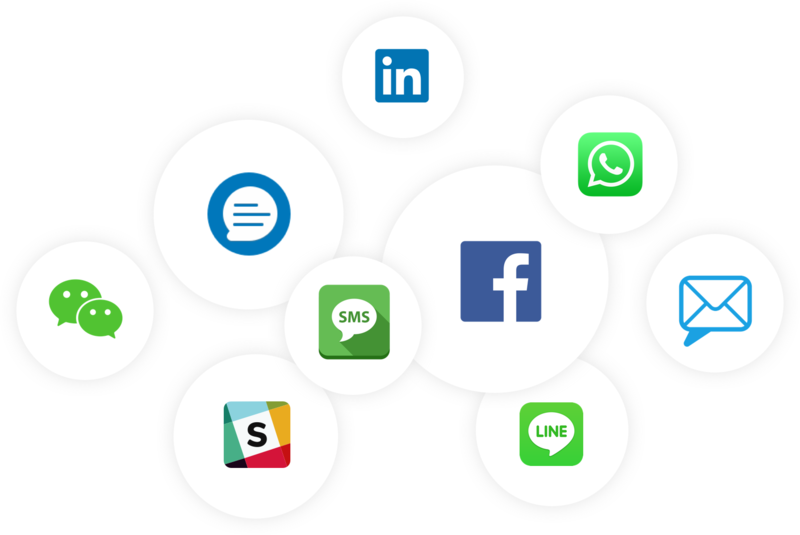 The rise of these real-time messaging platforms opens up new communication channels with candidates. Millennials, along with Generation Z’ers (who are just beginning to hit the workforce), live on their mobile devices. And 79% of that usage is on messaging apps. Consider this -- the average email open rate is 20%, InMails hover around 15%, and cold calls are highly ineffective. That said, we check our mobile devices on average once every 12 minutes. If you’re relying on emails and InMails as your primary engagement strategy, you’re falling behind, and fast. Texting candidates has an average open rate of 98%, and other messaging apps like Facebook Messenger and WeChat can be just as high. As a conversational recruiter, you may not engage via messaging apps for all communication, but a strategy without it leaves you mired in email, fighting low open rates and sluggish response times, putting you at a huge disadvantage over time. 2. Offload burdensome, administrative tasks. There’s been a lot of hype around how artificial intelligence and machine learning will transform recruiting and HR. And for good reason--AI has tremendous power and promise for helping to eliminate bias, find qualified candidates faster, and automate repetitive tasks. At Grayscale, we believe in ‘collaborative intelligence’ -- leveraging AI, along with human oversight and direction, to create a human-centric, high-touch experience. And in doing so, we empower recruiters to offload repetitive, low-value activities. 3. Proactively pipeline talent and nurture relationships at scale. Recruiting teams don’t have time to manage and optimize recruitment marketing campaigns. Bulky CRM tools require extensive configuration, and remain widely underutilized within organizations. You need someone on staff to manage these systems, and recruiters complain about how inaccessible they are with their day-to-day recruiting. Conversational recruiting is about leveraging AI-powered campaigns that runs in the background, keeping candidates engaged, keeping your brand top of mind, and surfacing the right talent at the right time for your team to connect with. As a recruiter, you just do your job and the system works intelligently for you in the background. No ongoing configuration, no need to rope in marketing to design HTML emails, and definitely no more fussing with cleaning email lists. 4. Humanize the candidate experience. There’s been so much hype over the years about improving the candidate experience, but we’ve seen most recruiting tools still prioritize automation and efficiency at the expense of the candidate experience. With conversational recruiting, the experience is designed with the candidate in mind first, and then we look for ways to automate the low value touch points and admin tasks. Conversations are real-time, natural, engaging, and personal. Candidates should describe your recruiting process with these adjectives as well. 5. Track and optimize everything you do. When your recruiting team is stuck in email or sending text messages on their personal devices, you’re missing out on valuable data points to help you optimize your process over time. When you’re tracking everything from one communication hub, you can see which messages and channels are converting at a higher rate. And you can deploy and optimize templated communication across the team. With Grayscale, communication gets automatically documented, so your team doesn’t have to do anything to keep organized. How often do multiple recruiters engage with the same candidate about different roles and not realize until the end of the process? How frustrating! Interested in learning more about conversational recruiting? 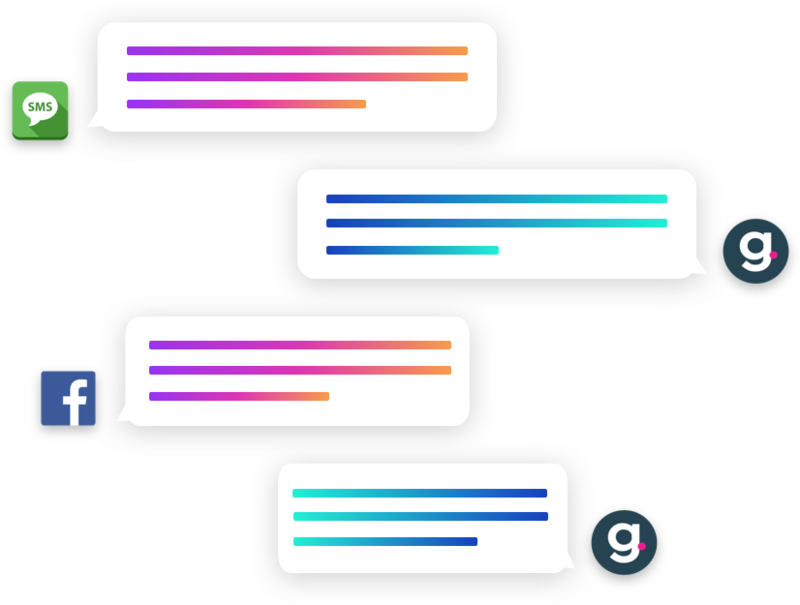 Let us show you how Graysale supports a conversational recruiting strategy.